As FDNY EMS professionals, one of our most important responsibilities is safe emergency vehicle operation. 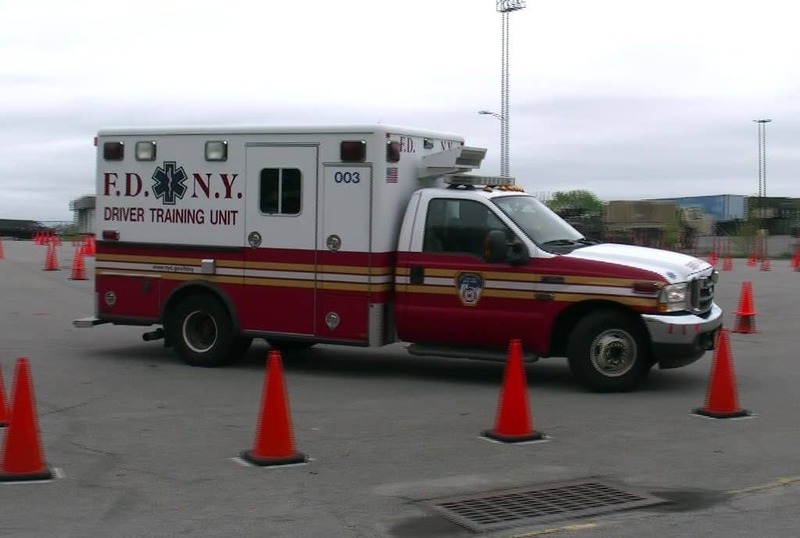 At the FDNY Bureau of Training, EMS Academy, we take this responsibility very seriously in the form of our Emergency Vehicle Operators Course (EVOC). In this training course, the number one principle we instill in our members is safety. Safe driving techniques, defensive driving and low speed/non-aggressive operation of Department vehicles help the students become more proficient and careful emergency vehicle operators. The skills we practice and test here at EVOC help students develop certain driving techniques that they can incorporate into their everyday lives, both on- and off-duty. Safe driving is an essential part of everyday life. 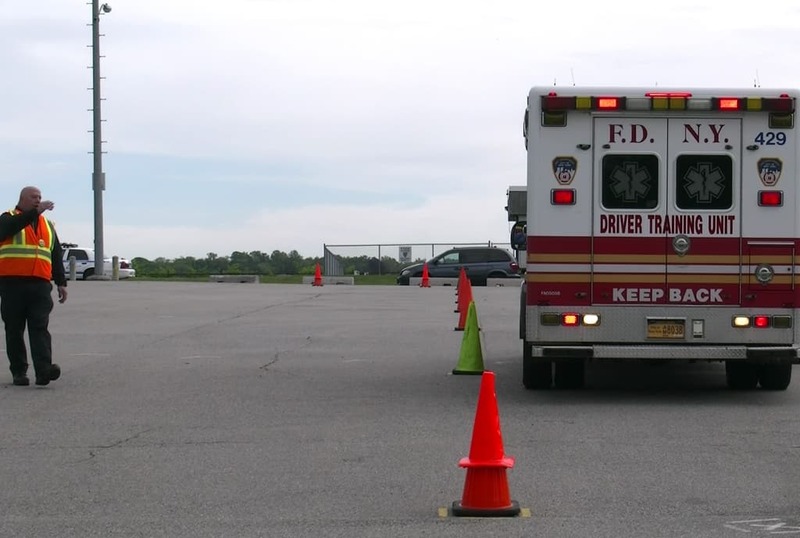 Students at EVOC receive an eight-hour lecture, adhering to the didactic aspect of emergency vehicle operation, which includes a review of NYS and NYC Vehicle Traffic Laws, FDNY Operating Guide Procedures and material from the NYS Department of Health. The lecture component of the program includes a pre- and post-lecture exam. 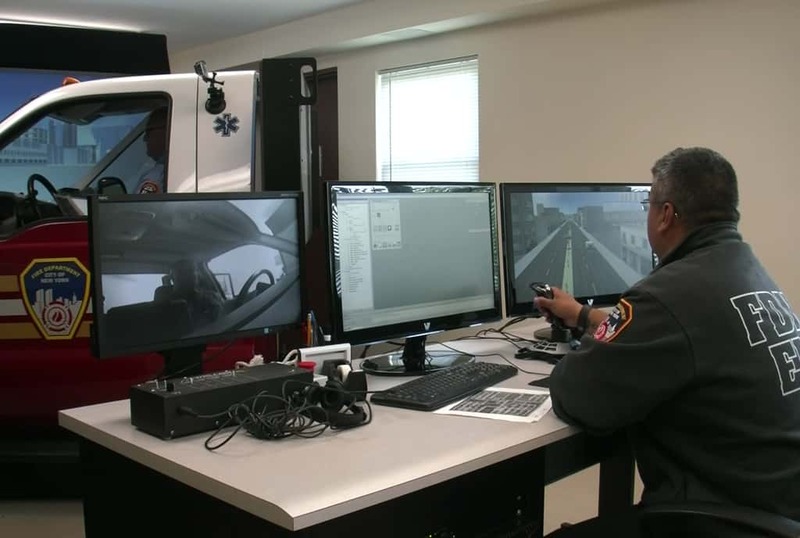 Students not only learn the hands-on skills to safely operate the vehicle, but also gain the knowledge needed to understand what it takes to be a safe and efficient emergency vehicle operator in New York City. Students are tested in the proficiency of these skills through a series of drills highlighting different maneuvers. At EVOC, students practice and test in three basic driving maneuvers, an advanced driving test and a road test. These are all performed in an actual ambulance with real-time driving. They also must complete a written exam that tests their knowledge of Department rules and regulations, as well as City and State traffic laws. Students also are given realistic scenarios, using a state-of-the-art emergency driving simulator. The 150-Foot Alley makes students show competency in driving straight forward and display an ability to recover control if getting too close to one side of the alley when reversing. The Lane Change tests students on their proficiency in changing lanes going forward and backward. The Serpentine is designed to test the students’ overall vehicle control by having them drive forward and in reverse in a figure-8-type motion through cones placed at certain intervals. The Advanced Driving Exam consists of real-time driving and incorporates all the skills from the three basic maneuvers, in addition to proficiency on turns and overall vehicle speed. 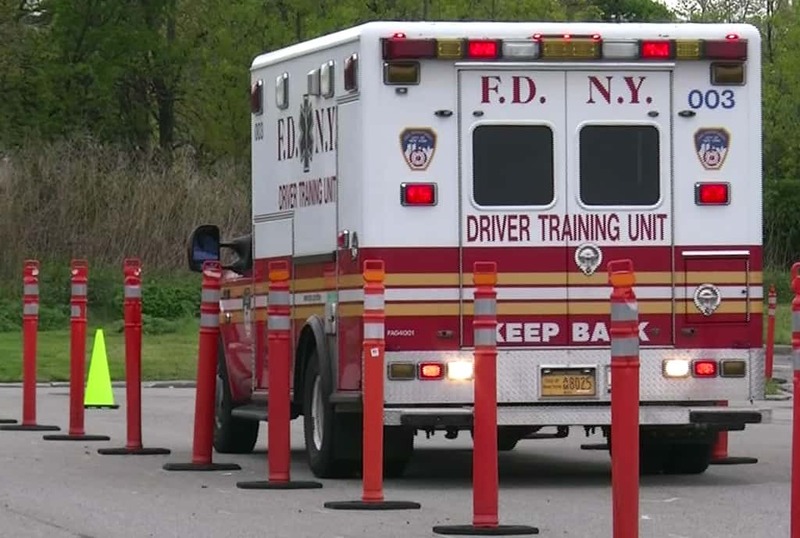 This exam must be completed successfully by all FDNY EMS employees before they can operate Department vehicles on the road. Simulator training is an integral part of EVOC program. Simulator training is an integral part of our overall driver training program. This allows the student to be placed into different scenarios that cannot be depicted in his/her real-time driving experience. Students are not allowed to practice in emergency mode (lights and siren) in the streets, so lights and siren simulator training is very useful. Students are shown when it is and is not permitted to drive the wrong way down a one-way street and how to clear an intersection lane by lane. Different weather conditions and mechanical issues can be programmed into the simulator to recreate real-life driving conditions. Vehicles even can experience flat tires. An instructor is present during simulator training and can take on the role of an emergency dispatcher, allowing students to simulate emergency dispatch radio communications as needed. Flare lighting and placement, vehicle positioning and tire chain installation also are taught during EVOC training. Students receive instruction on vehicle maintenance, such as locating and checking vehicle fluid dipsticks, battery placements and the proper way to boost a vehicle if needed. Instructors at EVOC work diligently with each student to instill these driving techniques. Each student is given a walk-through and demonstration to show how each maneuver should be done, incorporating the proper speed, correct hand placement and accurate distance from the air bag. All of these aspects of training help ensure the safety of the students. On the EVOC training field. Speed control and braking techniques are monitored closely during the students’ driving time to maintain safe operation for the vehicle operator, as well as the other students and faculty who may be on the EVOC training field at the time. Effective defensive driving requires emergency vehicle operators to be able to maintain awareness of blind spots, safely change lanes and cross intersections safely, as well as promote the overall competent handling of the vehicle. Defensive driving also includes safe driving techniques with an emphasis on awareness of other drivers’ potential actions and intentions. Emergency vehicle operators must be able to recognize possible hazards and react in a timely fashion when needed to avoid collision or injury. To ensure student safety while training here at EVOC, there are certain rules that must be adhered to. Seat belt usage is paramount at all times when operating a vehicle. A reflective safety vest must be worn by all students and faculty when training on the EVOC field. Front cab instructor brakes are installed in all EVOC vehicles on the passenger side to allow the instructor to effectively interact with the student’s performance. Instructors are in the vehicle with students during practice time on community roads. No student is allowed to drive on New York City streets unless accompanied by an EVOC instructor. Students are taught how to handle and maneuver the vehicle on real City streets so they can get the feel of operating a vehicle much larger than they are accustomed to and they learn how to judge the turn radius and height clearance of these vehicles. Each student receives ample driving time with instructions pertaining to speed limits, street signs and road dynamics. Students are given multiple opportunities to pass the tests and display the skills they have learned. Those who are not quite ready to drive within the community will partake in a re-evaluation course to ensure they can properly handle the vehicle before being given the clearance to operate these vehicles on their own. A display of skills learned. We also highlight Mayor de Blasio’s Vision Zero Plan, promoting defensive driving techniques, education and initiatives to reduce distracted driving. According to the National Highway Traffic Safety Administration, 16,225 people died in motor vehicle accidents in the first six months of the year, an 8.1 percent increase from the previous year. In 2014, 21,022 motor vehicle passengers died in crashes, 49 percent of whom were not restrained. As mentioned before, at the FDNY, great importance is placed on seat belt application. EVOC also schedules training sessions for active members to gain additional and enhanced driving experiences. Specialty Unit Training consists of members operating oversized vehicles used by EMS Operations, such as our Mobile Emergency Response Vehicle (MERV), Medical Evacuation Transportation Unit (METU), Weapons of Mass Destruction response vehicle (WMD) and Gator Trailer transport. We train members of our New York City Emergency Management (NYCEM) and EMS Fellows for their sedan-type response vehicles. As a courtesy, we also provide driver training to NYC Buildings Inspectors and Health and Hospital Corporation Police officers with whom we work when out in the field. Programs also are designed to re-train those involved in accidents with Department vehicles. FDNY EMS EVOC offers a tailored approach to teaching our students. This approach is contingent upon the vehicle type, the student’s capability, written exam results and the student’s overall performance. Again, the one principle that always is emphasized in EVOC, regardless of the program, is SAFETY. Today’s vehicles being used by EMS Operations are getting bigger, heavier and faster. We concentrate on accident reduction, minimizing distractions and safe driving techniques. We disseminate safe driving practices that members can use at work and while operating their personal vehicles. Our job is to instruct students on crucial techniques about driving Department vehicles and safety habits that can be used for a lifetime. We take our responsibility very seriously at FDNY EMS EVOC and new program curriculum updates always are being developed in order to make the environment safer for our drivers and the community we are sworn to serve. We will continue to expand our training efforts so that we can ensure that our emergency vehicle operators are some of the best and brightest in the nation. 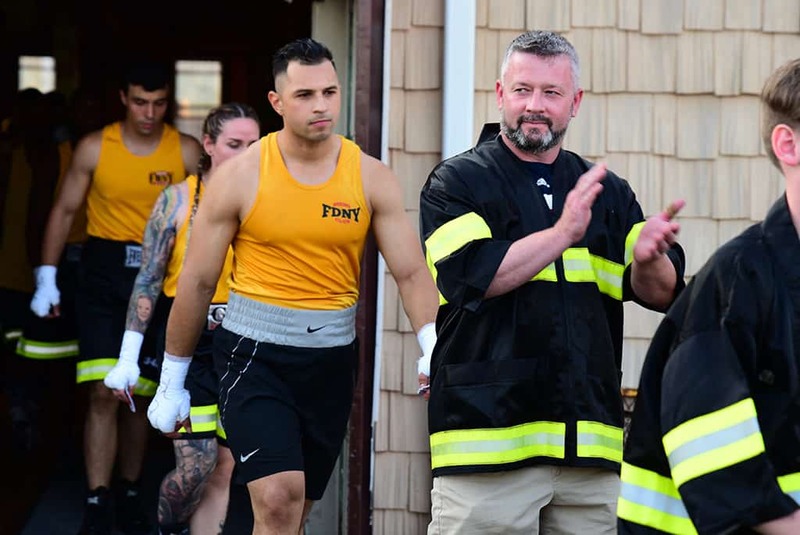 Lieutenant Joseph Yolles is a 28-year veteran of the FDNY. He has been the Program Coordinator for the Emergency Vehicle Operators Course (EVOC) at the Bureau of Training, EMS Academy, since 2010. 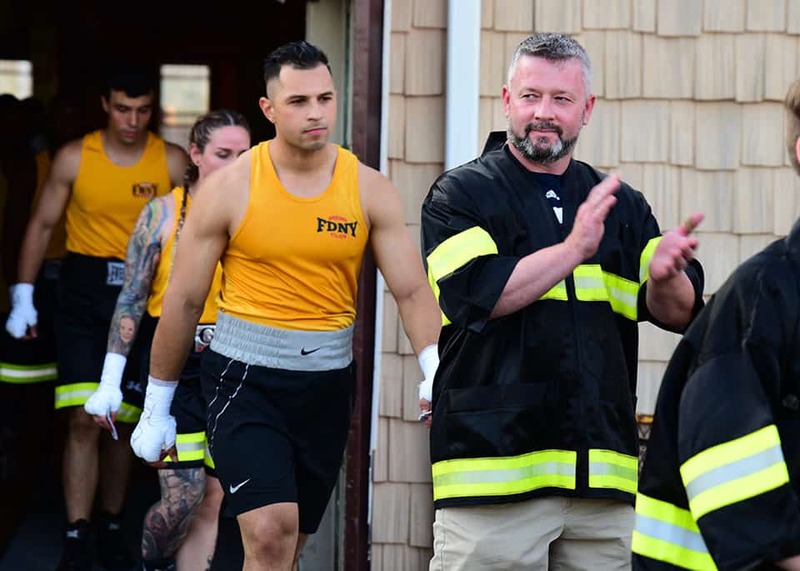 Lieutenant Yolles holds numerous certifications, including National Traffic Safety Institute (NTSI) Instructor and NYS Department of Homeland Security and Emergency Services (NYS DHSES) Emergency Apparatus Instructor. Lieutenant Yolles received the Fire Commissioner’s Award for Meritorious Service in 2015 for his role in EVOC training.